We stand on the verge of the so called ‘Internet of Things’, a world where smart, low powered, limited CPU and memory devices connect almost ‘anything’, including ‘living things’, to the Internet regardless of location or other physical restrictions. The only common requirement is they should all be IPv6 and not require a human to collate the data. RF near-field technology has been in use for some time from tagging your pet cat with the ‘owners’ details to managing logistics in warehouse distribution centres. 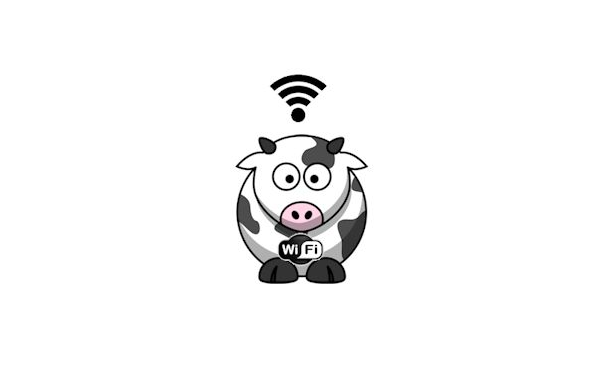 IoT likes to go one step further as this article nicely suggests… ‘Cows connected to the Internet’ (nuff said really). What does this actually mean though? Well, there are other examples, the simplest being your weekly online grocery order. Currently you have to decide when to order, what to order and what quantity. IoT suggests that your fridge and cupboards already ‘know’ what has been consumed and have already updated your shopping cart with the online store in advance. Interestingly we are seeing major vendor’s buying start-up companies who specialise in home automation technology such as Samsung’s recent acquisition of SmartThings and Google’s acquisition of Nest for an astonishing $3.2 billion dollars. IoT has become a major focus of technology companies. Can The Internet of Things Be Ubiquitous? IoT and Ubiquitous Computing are closely linked as concepts. However to be truly ubiquitous would suggest you shouldn’t really notice it… like the most notable of all ubiquitous things, oxygen. This would suggest that the interactions and particularly the human interface would be so intuitive that they would provide a flawless and effortless experience moving from one system to another… Ask an Apple iPhone user to use an Android phone and you can see where this may fall down and perhaps suggest how far away we are from true NUI (Natural User Interface). Just an aside, IoT is good news for Google whose business plan way back in 2005 was “to organize the world’s information and make it universally accessible and useful.” Oh and “it’ll take 300 years to achieve it”… An example I once heard of Google’s vision was “the ability to tag a polystyrene cup so that when it is binned the Purchasing department know to order a new one….” this would clearly make an interesting Google search… but in essence IoT will accelerate Google’s vision. IoT also boasts great things in Clinical Research as near-field technology, either as wearable-tech or sub-dermal tech, offers the ability to monitor and make split second decisions based on the data collated about a person’s health such as heart rate, blood pressure, breathing and the like… Being able to monitor and support a person free from ‘physical constraints’ will change the way Doctor’s deal with patients. For now, though, we are trying to understand how IoT will change the technology landscape and if it will truly usher in a step change in the way we perceive technology and its place in human society. The idea that ‘everything’ is connected will certainly have the more paranoid among us feeling a little jittery and looking over their shoulders and such concerns need to be addressed, but hopefully not to the point of blocking innovation that can benefit all as we see major developments happening in the ‘Internet of Things’.